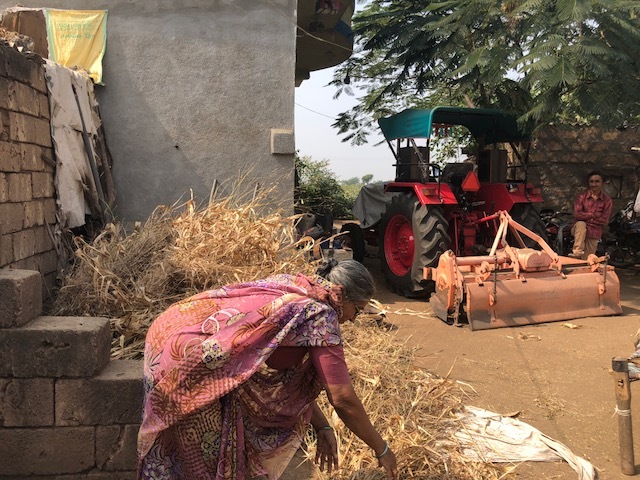 Cotton farmers in the Saurashtra region don’t want a change of guard in Gujarat, say BJP has ensured better roads, schools, power and water in villages. Junagadh, Gujarat: In Junagadh district’s Sukhpur village, cotton grower Mansukhbhai Dafda is busy spraying pesticide on his crop. Dafda shifted from groundnut farming to cotton cultivation around six years ago. The man in his fifties claims he does not get the right price for his produce. Yet he is no mood to vote for any party other than the BJP in the forthcoming assembly elections. “I get Rs 800-Rs 900 per 20 kg of cotton when I should be getting at least Rs 1,000. This reduces my profit margin significantly since I spend a lot on pesticides, fertilisers and other inputs. Government policies are to be blamed for this,” Dafda, a small farmer, told ThePrint. “But I still want the BJP to come back to power. Modiji does very good work; he has no match. A Congress government brings corruption and lawlessness. Under them, we never even got subsidies properly. At least the BJP government tries to do something,” he added. Similar sentiments are echoed by other farmers in Junagadh district, where cotton farming is prevalent. 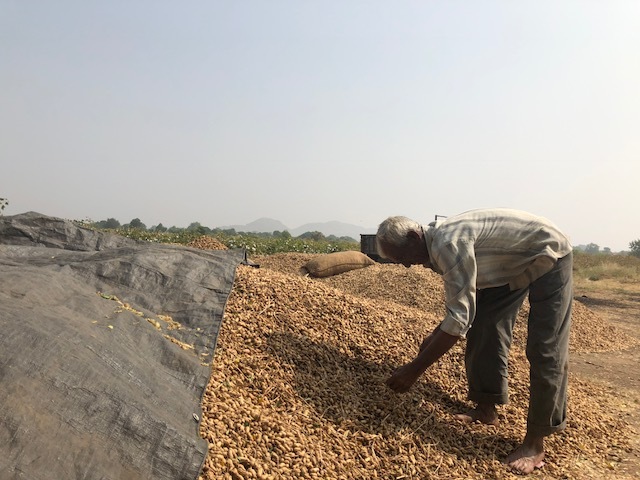 The low prices of cotton and groundnut have been a delicate issue in Gujarat, which has worried the current BJP government in the state in the run-up to the assembly election. But in Junagadh, the farmers don’t seem to treat it as an election issue. The Junagadh district in the Saurashtra region has five assembly constituencies, of which three have sitting BJP MLAs while the other two have a legislator each from the Congress and the Gujarat Parivartan Party. 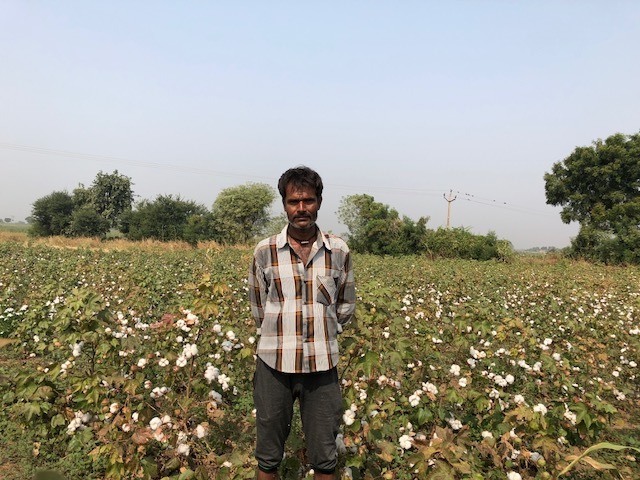 Savjibhai Pipalia of Mendpara village blames wholesalers for paying Rs 900 for 20 kg of cotton. But he also feels that the BJP is better than the Congress. “It’s good to have the BJP both at the Centre and in the state. Besides, the party has done good work here; we have 24X7 electricity, good roads and good schools,” he reasoned. 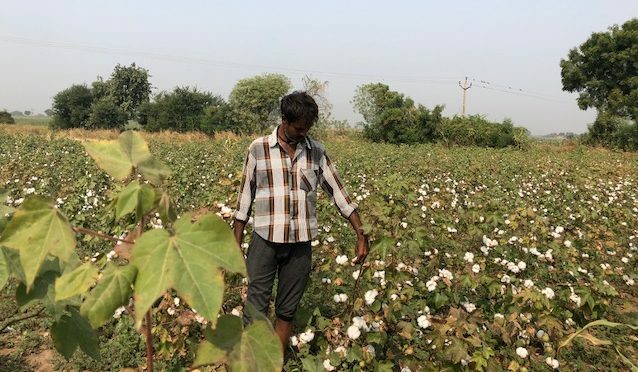 Chetan Vitthalbhai Sawaliya, also a cotton farmer, belongs to the Patel community, which has been agitating against the state government demanding reservations. Sawaliya, however, says he doesn’t support Patidar leader Hardik Patel and will rally behind the BJP. “Under the Congress, there was just gundagardi (lawlessness) and corruption. BJP isn’t like that. I know we get a lower price for our produce due to a dip in cotton exports, but Modiji will correct that. He is good for the country,” he said. Voters here also claim that demonetisation will have long-term benefits, even though it adversely affected them. “Demonetisation will weed out black money. We will see its impact in a few years,” said Kadubhai Dangar, a cotton farmer in Kariya village. In Dudhala village, some women members of a family are busy with their daily chores in their house. The entire family is dependent on cotton farming for its livelihood. While they blame both the state government and wholesalers for the low price of produce, they continue to bat for PM Modi. “All parties are the same; none will come to our rescue. But Modiji is very good. So I want BJP to come to power,” said Dhaniben Wada. Her daughter-in-law Rani nodded her head in agreement. Not just cotton growers, even those involved in groundnut farming have similar views. Ismail Sama and his father Mulubhai Sama of Malida village say they get only Rs 600-700 per 20 kg for their produce as against the Rs 900-1,000 they deserve. Despite the hardship they faced due to the note ban move, they too want the BJP to remain in power in the state because it has ensured “roads, electricity and water supply” in these villages. “We have electricity all the time, decent water supply, smooth roads and good schools in villages. There are new bus stops in towns and we have new Taluka Seva Sadans. If this isn’t development, what is,” asked Ashok Gadhavi, who owns a 12-acre cotton farm in Malida village.